How do I know which furniture wholesaler with a dropshipping service is the best? The question isn’t trivial, far from it. This isn’t the first time on this blog that we have spoken about the importance of making two big decisions when starting a dropshipping business: choose the product to sell and the dropshipping supplier that will walk along with you on this exciting adventure. As you will probably already know, directing your business towards dropshipping means forgetting about maintaining and leasing your own stock, with no warehouses or worries regarding the handling and logistics of orders. Interesting, right? At BigBuy, as a furniture wholesaler with dropshipping service and extensive experience in the sector, we don’t hesitate to encourage you to take advantage of the circulation of this sector and really get the most out of it. Among the 26 millions invoiced by the furniture and decoration sector, 18% comes from the great business that they are generating in e-commerce, so you are lucky. However, there is more. The latest figures are overwhelming, as 45% of Spanish online buyers purchase furniture or decorative items through the network, making purchases at a higher cost than those who purchase these products in physical stores. In Spain, the online sale of furniture is still taking its first steps if we compare the figures with other sectors. Therefore, there is a lot more to be discovered by people like you who are searching for furniture suppliers. In this context, Statista shows overwhelming figures, revealing that the turnover of furniture e-commerce in Spain will increase by 38.2%, going from 918 million euros in 2017 to 1,486 in 2021. If these encouraging figures have done enough to convince you, you need only to find the best furniture wholesaler with a dropshipping service. We will help you to make a decision with some simple tips. It may be obvious, but it is worth remembering the importance of considering price when choosing your furniture wholesaler. Our recommendation is that you begin with a small market study, as this will help you to find out the average price of furniture dropshipping suppliers; this study will also bring to the table other details to consider, such as delivery times, payment conditions and, without doubt, quality. When you have these details, you can also get an idea of what your profit margins would be and decide if they interest you. You should also not overlook other details such as discounts for a purchase volume that a furniture wholesaler can give you, as well as other expenses that are impossible to ignore, such as transportation, storage or packaging. When considering dealing with wholesale furniture, this is an aspect that cannot be ignored by companies that make large orders, especially because of the volume and weight of many pieces of furniture. In case you have any doubts regarding the importance of price, you should know that in the furniture sector it is the main reason why the majority of consumers decide to purchase online, 77% more than the clients of physical stores. At BigBuy we are used to handling large volumes, which together with our experience and the close relationship we maintain with manufacturers mean that we constantly strive to achieve the best wholesale prices. We deeply believe that quality can go hand in hand with price, achieving a more than satisfactory experience on your part. This may seem like a minor issue, but in the world of e-commerce it is very important when choosing the best furniture wholesaler, as by knowing the geographical scope of the delivery, you can expand the market to the limits set by the dropshipping supplier. At BigBuy, we are aware of the relevance of this aspect and that is why we currently ship throughout Europe; a market that keeps growing and that has a very broad and varied audience. Moreover, to help you expand your online shop internationally, we provide you with a catalogue in 24 languages. If your wish is to make a gap in the immense ocean that is the Internet, it is vital that your e-commerce has a great variety of products, even more so in the furniture sector. Why? Because of the importance that these products have in the mind of the consumer, often becoming an expression of themselves. A while ago we could talk about furniture as a necessity, but nowadays they are very often renewed and sometimes respond to whims, so you shouldn’t forget the large variety of tastes that there are on the market. The more variety you have, the closer you will get to your market. The best furniture suppliers will offer you the greatest possible variety of wholesale furniture, whether they are sofas, puffs or shoe racks. For example, if a consumer purchases an armchair on your e-commerce and it ends up being a satisfactory purchase, it is likely that if they later want a footstool, they will search for this item on your online store. The conclusion is that you will need your furniture wholesaler to supply the varied demand that your e-commerce will have. Besides, having this variety may help you to differentiate yourself from the competition with a very effective strategy: choose a micro-niche and work on it. In the extensive furniture sector, more and more e-commerce stores are specialising in a range of products, such as stores for shelving or reclining chairs. Statistics also show that consumers are committed to this type of e-commerce, so take advantage of it! We should also not overlook the importance of having furniture suppliers that have as many product ranges as possible. It is likely that over time you will want to expand your e-commerce in other sectors, for example by finding an interior décor wholesaler. This would marry perfectly with your furniture store! Should you reach this point, it is highly advisable to choose a trustworthy furniture wholesaler with whom you are already collaborating. Variety is one of our pillars. We currently have almost 1,000 pieces of furniture available wholesale, such as trunks, armchairs, headboards, desks, chests of drawers, tables, puffs, furniture for an entrance hallway… always with quality as a reference and without forgetting the thousands and thousands of items available in other ranges of products. You must put aside the idea that by working as a furniture wholesaler, customer service is a minor issue, as, after all, you will be their customer. E-commerce is a sector that demands immediacy and internationalisation, therefore, the furniture suppliers you look for should provide you with a multichannel service, through either e-mail, telephone or social networks. This support should also be in various languages, as this is vital in a globalised world! At BigBuy, we don’t neglect customer service. To make you feel supported, we offer multiple communication channels with a great response ratio and we provide support in various languages, i.e., English, Spanish, Dutch, Italian, German, French, Russian, Portuguese and Chinese. A fast shipment is undoubtedly one of the most important points when choosing the best furniture wholesaler with dropshipping service. 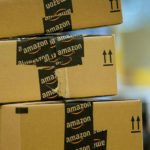 Worry if orders take more than 24/48 hours to be dispatched, as you could become involved in reputation problems and the competition would win if your delivery times were not what expected from an e-commerce. With regard to packaging, pay attention to the fact of whether a specific packaging is included among the services of furniture suppliers. What do we mean? That your brand or logo appears, or at least it does not bear that of the furniture wholesaler. This small detail will give you clues about the professionalism of your future supplier, as in this way you won’t skip the intermediate step; your e-commerce. Providing fast and easy shipment is one of BigBuy’s premises, as most orders made before 12pm are dispatched on the same day, although for logistical reasons, they may be delayed 24/48 hours. We also never forget to send the orders containing your logos, always putting us aside and giving your e-commerce the importance it deserves. Your customer will never know who we are. Setting up a dropshipping store is not a simple task, so add another requirement to your furniture wholesaler and ask them to help you in the process. Furniture suppliers should not have any problem in easing the process, as the better it goes for you, the better it will go for them. At BigBuy, we have always been strong supporters of training in marketing, e-commerce and, above all, internationalisation. So that you don’t feel alone in this process, we offer you two great forms of support: our valued Academy and, on the other hand, our blog on marketing and electronic commerce, translated into 23 languages. All advantages! Another factor that could tip the scales is the best option for you: a turnkey solution. If you do not have great technical knowledge, setting up your dropshipping store may cost you a lot of time and headaches. Therefore, our recommendation is to trust in a furniture wholesaler with a dropshipping service that offers you this great solution. With a turnkey solution, we want to offer you a completely synchronised store in terms of both products, orders and couriers. At BigBuy, we deliver your 360º store in a matter of 2 to 5 days, equipped with the Multi-channel Integration Platform, e-marketplace integration, WordPress blog, newsletter creation tools, a store on Facebook, support resources and full synchronisation with BigBuy. The objective is that you only need to think about selling, we will do the rest. With all this information in your hands, you now have all the requirements needed to find the best furniture wholesaler with dropshipping service. Don’t waste any more time, good hunting!